Imagina is a program with which it is possible to enjoy our images differently, because it offers us a viewer with a fantastic interface, as well as some utilities for photograph enhancement, that allows us to fix small defects in the color or the luminosity in a matter of seconds. 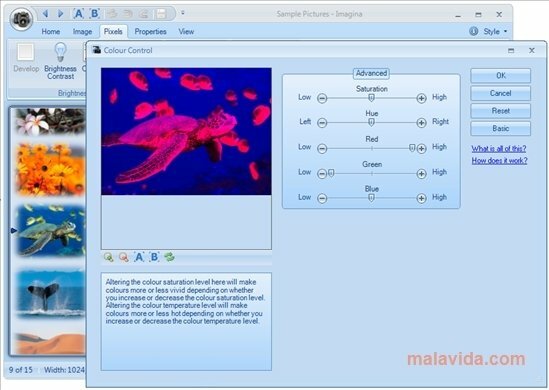 The program has the popular Ribbon interface (the same that is used in the Office applications), thus making it very intuitive, because the tools are perfectly indicated and due to this, accessing anything is a matter of a couple of clicks. 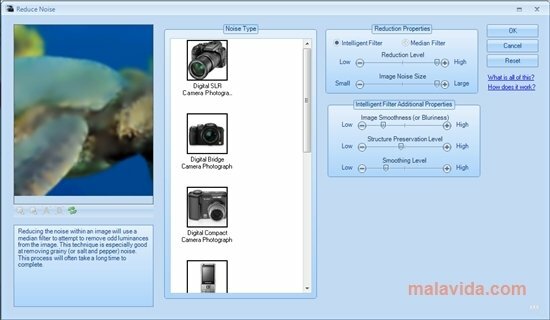 The editing tool includes a function to eliminate the noise and fix the color and an option to improve the brightness and the contrast. It is also possible to use the automatic optimization and let the program enhance the quality of our images. 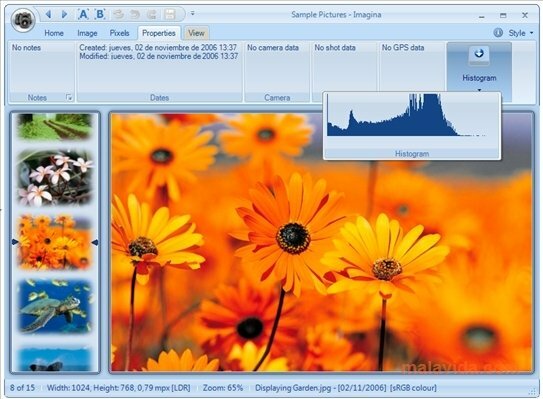 Other important features of the program are the tagging system, the compatibility with files in RAW format or the UltraZoom function (that allows us to view the details of any image). 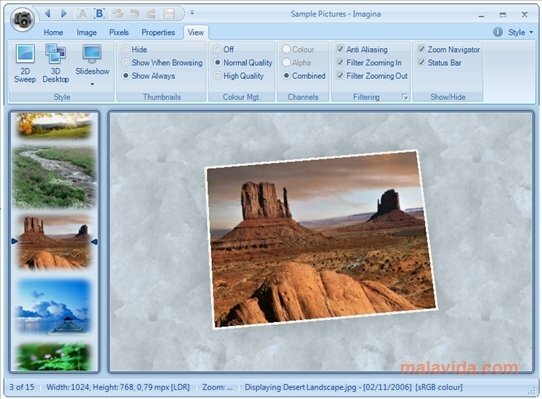 Download Imagina and you will have an application that is really versatile to work with image files. It requires DirectX 9.0 or above, and .NET Framework 2.0 or above.